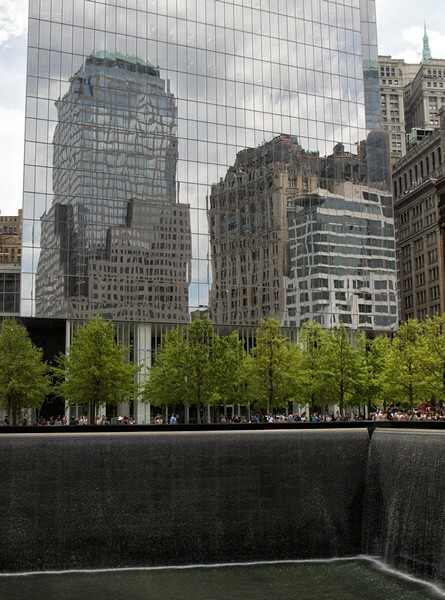 I recently visited the 9/11 memorial at the World Trade Center, the sixteen acre Ground Zero site in lower Manhattan. Words and pictures cannot convey its enormity. I cannot imagine the horror felt by the office workers and the absolutely brave responders. What does it take to realize it’s over and to jump from the building, one woman even demurely pressing down her skirts as she lept, a final statement of dignity. 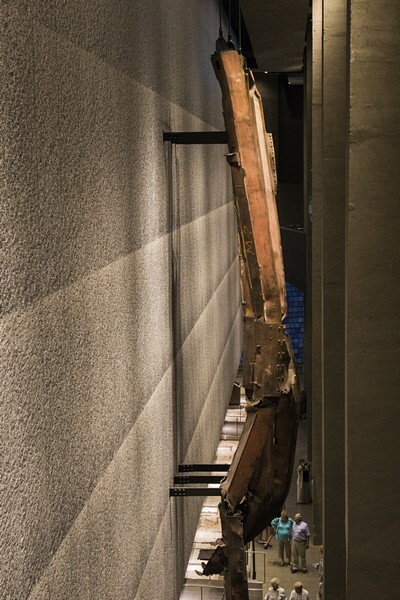 The museum’s lower level is bounded in part by the so-called slurry wall, a wall of poured concrete which continues to hold against the Hudson River. I am equally in awe at what has been created in place of the demolished buildings. 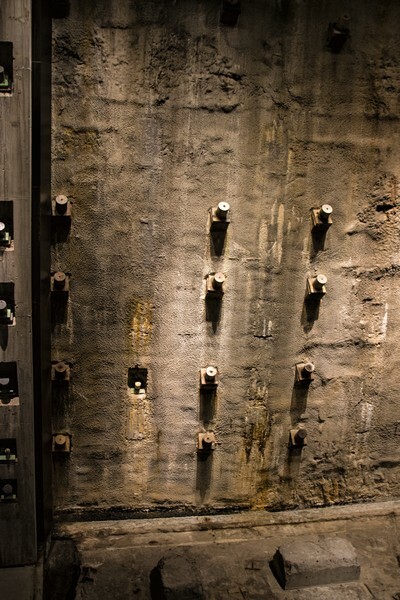 The footprints of the collapsed north and south towers have been filled with dramatic pools whose walls are waterfalls, and which drain into smaller central pools. 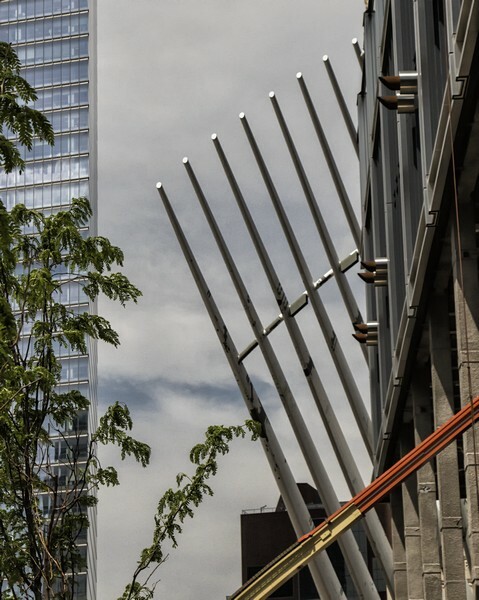 They are surrounded by new construction which also reflects surviving older buildings. 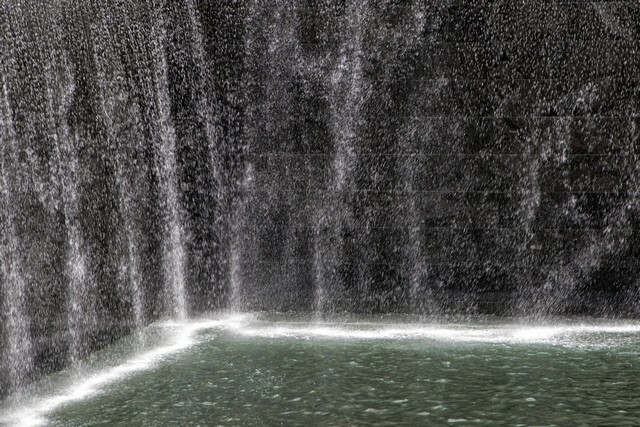 The pools are bordered with blackened steel trim in which the names of all of the victims have been cut. 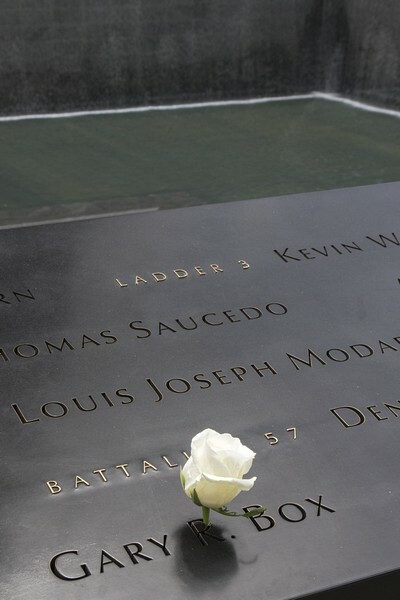 It is the custom to place a white rose with the name of any victim on his or her birthday. Elsewhere on the grounds are other signs of rebirth. Here is part of the reconstruction of the Transportation Hub, called the Oculus, and suggestive of wings. 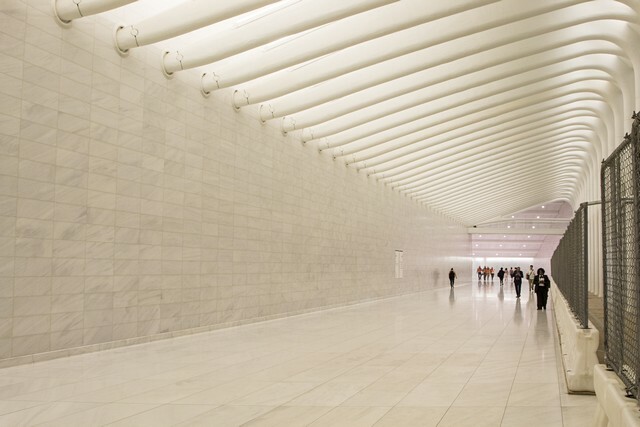 Beneath the Transportation Hub there is the completed West Concourse whose brilliant whiteness is uplifting. 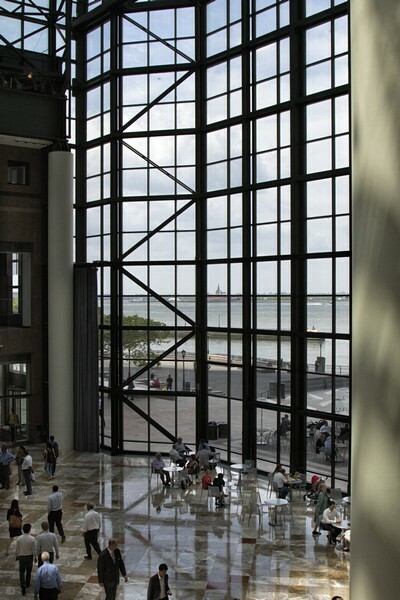 There are upscale shops opening along the concourse, and it leads to the reconstructed Wintergarden, beautiful and with a stunning view of the Hudson and the New Jersey shore. 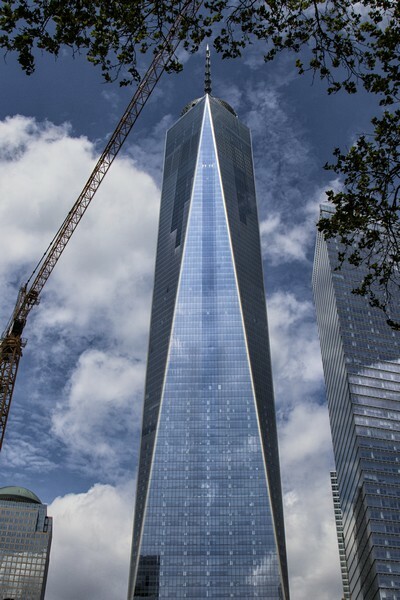 Finally, there is an awesome symbol of the rebirth of the World Trade Center, the 1776 feet tall One World Trade Center. My friend, Fog, showed up again. I haven’t seen him for about a year and a half. He’s probably been skulking here and there but not in front of my camera until last Saturday. That afternoon I drove to the shore for an overnight getaway. As I left the mainland at Manahawkin the temperature dropped and the fog appeared. The Ocean County Sheriff’s office had been warning about this, and they were right. I dumped Pearl at the house and headed to the beach. Here was the scene at about 5:30. It was still light enough to see what was happening but the approaching mists were clearly on the way. Just to the left of this walkway leading to the beach I was also welcomed by blooms of bayberry. I don’t remember seeing this profusion before. They were enjoying the moisture of the mists. As the evening progressed the mists crept further into the town, bringing the usual mystery, silence, and dimmed lights. There is no motion as though the mist absorbs anything that dares move. I wonder as I write this about the connection between the words mist and mystery. It’s there. Later, the view through one of the windows brings out the same feelings. At the docks at the foot of the street the fog had also taken charge. Nothing moved here either except some shimmer. Even the in-residence Purple Martins were anxious and just hanging out on their perches. The next morning the drive to Fred’s Diner was a matter of cleaving through the fog. At Fred’s there was breakfast and life. Friends reappeared, my last view of them having been on Labor Day. Materialization from the fog? No, snap out of it. After breakfast, a drive south to the tip of Holgate on the edge of the wildlife refuge. First sight was this sentinel, also a residue of last year. The jetty there was taking a beating. Down on the sand, the swells were impressive. On the other side of the jetty the dampened swells provided only a modest challenge to this young boy, ready for a day on the beach and the fog be damned..
Fog Fix, A – July 2011 -Beach and bay scenes, Charon fishing, Pearl Street pavilion, Sandberg’s “Fog”.